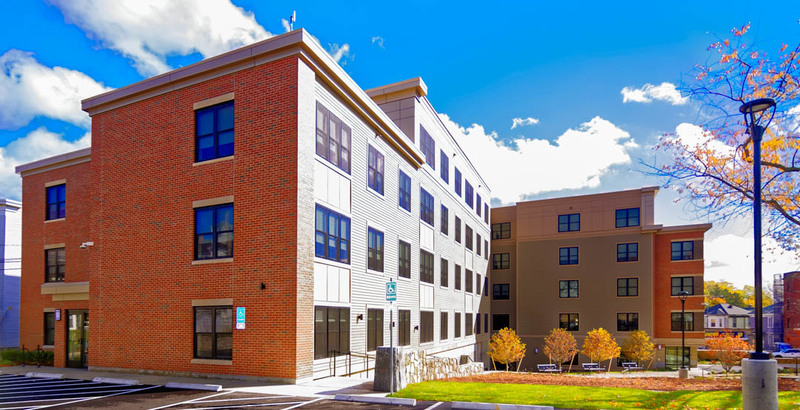 The adaptive re-use and single-story addition to an existing school for 21 residential apartments alongside a new 3-story townhouse style building with 12 residential apartments. The 2.23-acre Uphams Corner property was closed in 2008 as the archdiocese moved to create the Pope John Paul II Academy system at other sites in the city. 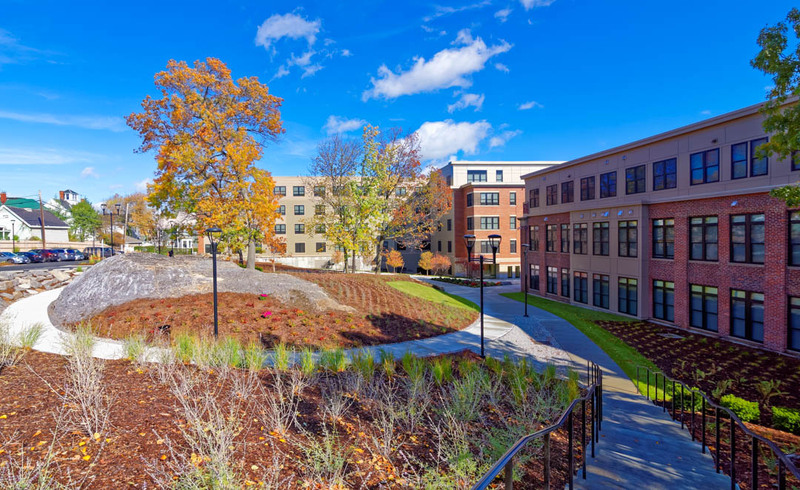 The former St. Kevin’s Parish property in Upham’s Corner and two parcels of the St Peter’s Parish campus on Meetinghouse Hill were converted to answer a critical need for safe and affordable housing for Boston families, with 25% of the new residents emerging from homelessness.